Interesting, I had four ivf cycles. The firdt was a three day, failed. Second was a five day, failed. 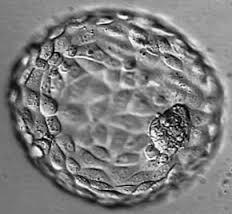 So for the third, the dr said maybe theybwould have survicved, better inside u, so we did three day and that time 2 embryos. I got pregnent but miscarried. This timem the three embryos we saved, we grew to day fibe. Two were transfered, one didnt grow. Now, im hoping I get pregnent. I read ur article about not needi g to take precautions about physical activity. Although I was reasonably careful anyway, I did doa few heavy tasks without thinking. Im guessing that wont do harm? So given the embryos grew to day five gives me a good chance of success?